Col­lec­tion Revue con­cludes it’s res­id­ency at Kiosque/​Image with a final selec­tion of art zines, books, posters and prints called “Zine Party II”. 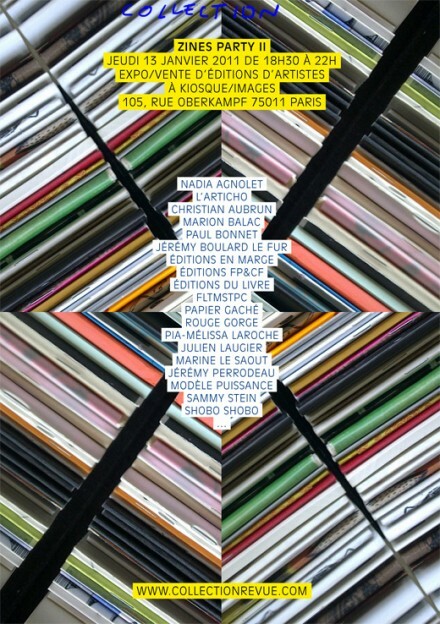 “Élec­troshield, project/​réplique” is an exhib­tion by BAT Edi­tions and Ben­oît-Mar­ie Moriceau at the Galer­ie Arko. 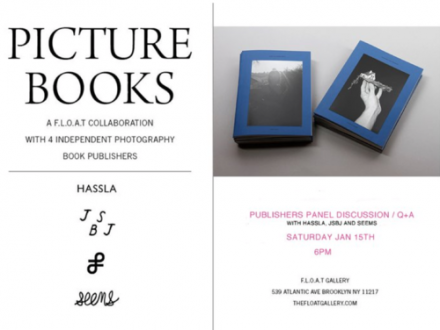 As part of the Pic­ture Books exhib­i­tion the F.L.O.A.T Gal­lery invites you to a pub­lish­ers pan­el dis­cus­sion with Has­sla, JSBJ and Seems Books. Artist run space Het Wilde Weten invites artists and small, inde­pend­ent pub­lish­ers to present their pub­lic­a­tions at the Wild­Book­Mar­ket (WBM). 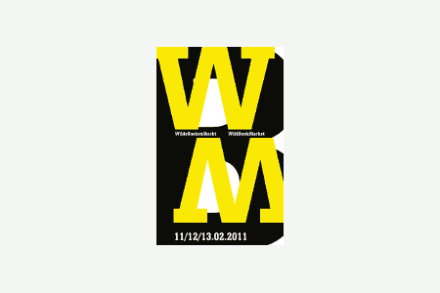 After a very suc­cess­ful first edi­tion, this year WBM will take place dur­ing Art Rot­ter­dam in 2011.